Nestled in the woods an hour west of Ottawa Ontario is the gold standard of what a track sould be. 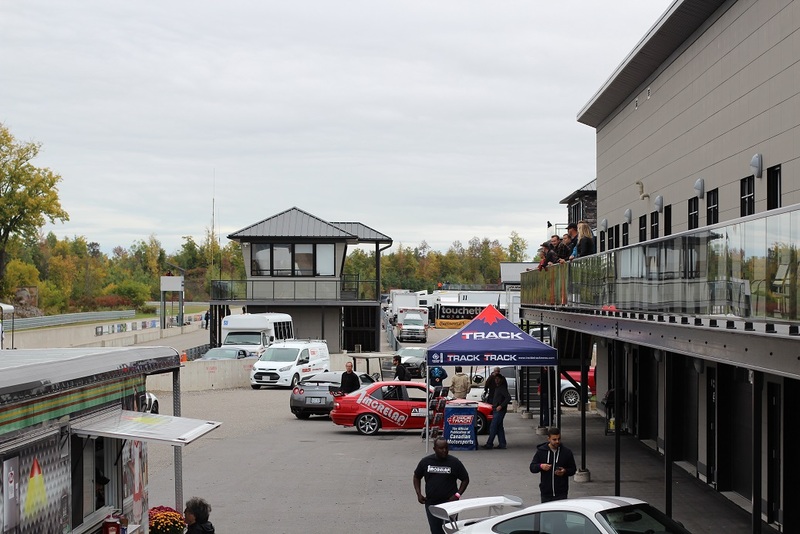 Calabogie Motorsports Park opened in 2006 and has since offered drivers, race teams, and track enthusiasts a wonderful venue for enjoying sheer driving pleasure. CMP prides itself on being North America's premier driving experience, and it should. I have yet to see or hear of a place that really prides itself in giving everyone the experience of being on a track. In the beginning of October, CMP celebrated its 10-year anniversary in style. 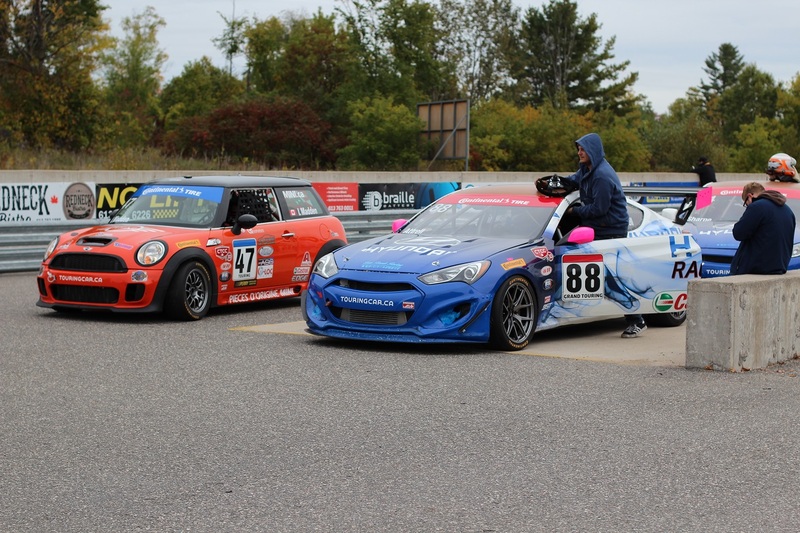 CMP simultaneously ran a novice track day on the West Circuit and the Canadian Touring Car Championship’s final alongside the “regular” track day on the Stadium Circuit, in between CTCC sessions. A sweet and differing sound of exhaust notes filled they air throughout the day. It was hard to pick what was the most interesting car on track that afternoon, but it had to be either the 911 GT3 or the Chevy Malibu (The Chevy was on the West Circuit of the course). Now you may think that this is a low-level operation with little to offer enthusiasts, but it’s quite the contrary. Everything you would possibly need is here. From driving coaches to two separate shops that develop and maintain everything from your personal track toy to 911 GT3 Cup cars. CMP’s amenities also include hotel rooms and on-site fuel pumps. CMP, in full form, is a 5km, 20 turn, technical wonderland with flowing elevation changes. Alan Wilson who designed Barber, Miller, and NOLA, gave the management strict guidelines on the way this circuit was to be constructed and it shows. I’m beyond excited that there will be another 3km added to the circuit in the coming years making the circuit faster than it already is. 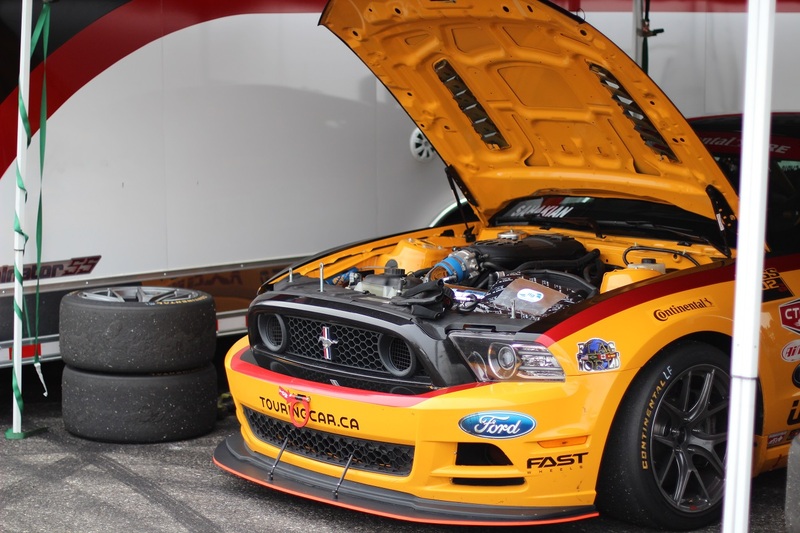 One great service offered (and quite possibly the best) is the ability to rent a “race-prepped” Mustang. While the spec sheet isn’t mind blowing, it becomes a surprisingly good track tool because of the modifications. On par with 911, Cayman, Corvette, Audi R8, BMW M5. At 3400 lbs., it’s not a featherweight, (even though it’s interior has been replaced with a roll cage) but it’s surprisingly compliant and totally predictable. The lovely V8 grunt and the easy throttle steering when needed made me look at straight axle Mustangs in a better light. 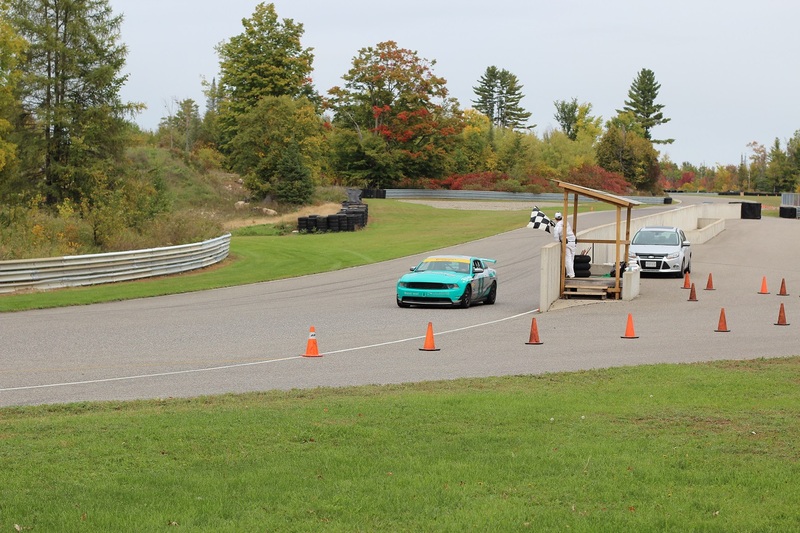 Three to four times a year CMP offers a novice track day where you can pay $65 CAD for 30 minutes of track time with an instructor in your own car. You can, of course, go multiple times a day. I opted to rent a Mustang which is offered at $199 CAD. Yes, it costs more, and yes it’s not my car (I’m not putting a 2011 Accord on the track), and yes if I break it I buy it, but why would you not want to pay the money to drive a silly car purposed for the track? The car I spent part of my afternoon in. So, it goes like this, a 10-minute class on the proper way of driving on the West Circuit, safety, and listening to your instructor, then to the helmet rack, then in the car, and out onto the course. The Mustang rentals ran within the Novice group, which could be both entertaining and frustrating due to the others in the group. There is no open passing and you are only allowed to pass on the straights when pointed by. When I crept up to someone and let them know I was there, many drivers had the good grace of letting me by. Others drivers didn’t and sometimes when I caught a pack I had to jump into the pits and made a gap. Time flies when you’re having fun and there wasn’t any lack of fun in the Mustang. These cars CMP built are just wonderful track tools. You can do any kind of ham-fisted BS-ery and the car takes it. They’re quick but not so quick that someone with no experience can be overwhelmed. Brakes, steering (a little light but accurate), and suspension were all a great package. Overall the balance is almost perfect with just a slight amount of understeer. After my time on the track, I headed back to the Stadium Circuit to enjoy watching more of the other cars on the track, CTCC practice, and qualifying sessions. 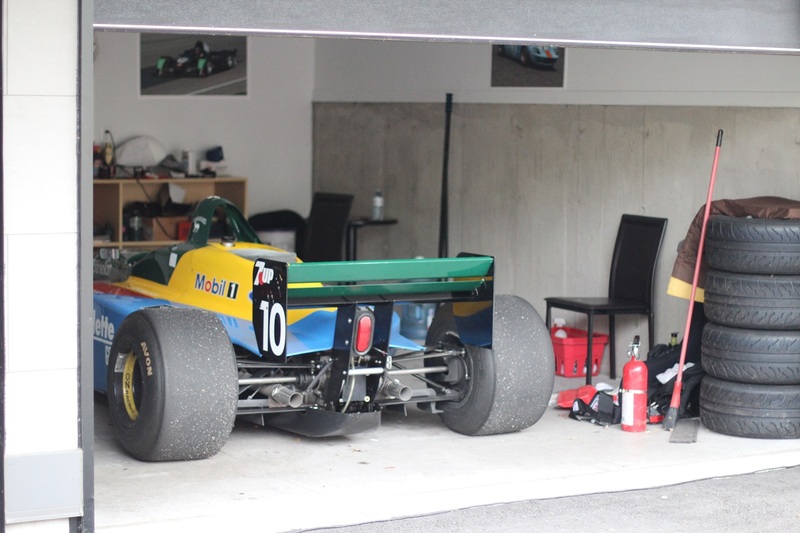 I was able to spend a few minutes lusting over a 4.0 RS, (Yes, it was in fact driven hard) but my adoration was split between that and an F3000 Reynard painted in 80s Benetton colors. CMP sets itself apart from any other track I have been to in the US (or tried to get to). I get a vibe from CMP that it welcomes one and all. It doesn’t matter if you have the most beater of a track toy or have the most expensive four-wheeled bullet you can buy. They make an effort, so the average guy isn’t priced out from running on track. It’s an absolute shame more places in my area are not like this. Click here to check out CMP's site and click here to watch a video of my session in the Mustang.